Salvaged Gardens is a family business, based in the beautiful Sunny Bank Mills in Yorkshire. Inspired by nature, urban decay, apothecary recipes and a love of plants, we create individual plantscapes using found and sourced objects. 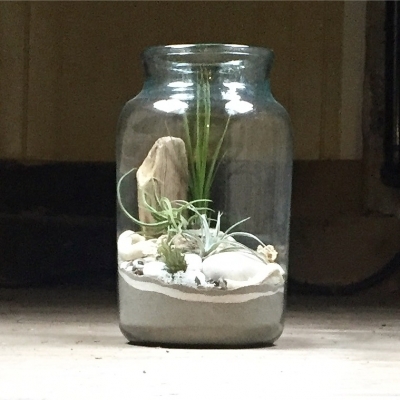 Working mainly with reclaimed glass containers, or bespoke vessels from local craftspeople, each unique, curated piece combines earthy or desert textures with fresh greenery. 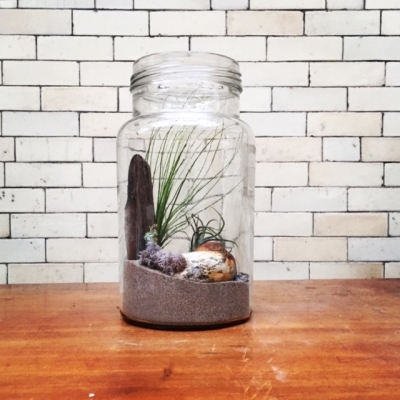 Our range includes quirky plantscapes, terrariums and botanical curiosities suitable for the home, workspace or the wedding table.